New techniques to make small objects look even bigger! New series, new project: "Forgotten Titans" This image was shot using a 1/144 scale model... It is so small that in order to achieve depth of filed I needed to go with Focus Stacking... 70 individual shots. 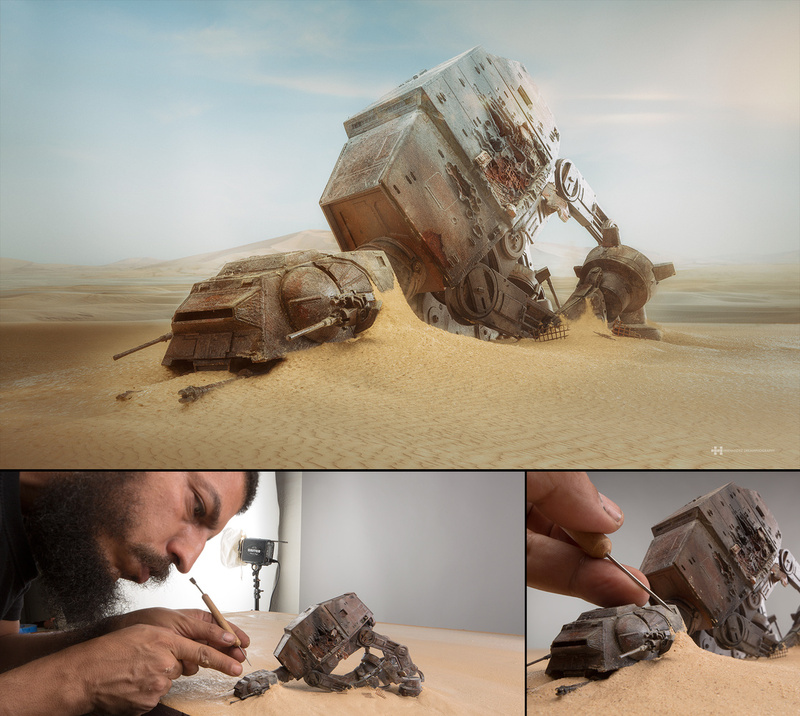 Also I had special care in painting and weathering the model as making the desert scene. Additional BG was insert in post. Makes me wish I was more artistic. Wonderful production! Thank you so much Alex!!!! I saw this on Instagram this morning. It looks even better on a bigger screen. Not only is the photography top notch, but the modeling skills are amazing as well. I have this At-At kit myself and a ton of work went into this to make it look this way. Thank you so much Brandon for appreciating the work behind the photo!!!... 3 day painting this little guy!... But it's so fun!!!... I have 5 more ships to work with... so exited about this new project! attracking photo on the first gaze! Love seeing/reading the BTS of this shot and the amazing result - awesome! Amazing work, looks so cool, very well done.